At PriceRightHome we have everything you need to create a dream bedroom for your Spider-mad son or daughter. Explore our range of Spidey single and double duvet sets, curtains, wall art and much more, for a super room for your little hero. Design the room they love for less with PriceRightHome. Your little one will think you’re a real superhero when they see their new Spiderman single duvet. Spidey super-fans will love our range of sleepover and storage solutions, and Spiderman 3D LED wall lights are our personal pick for a unique addition to any bedroom. 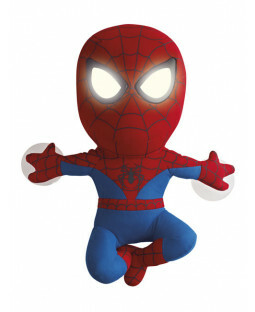 Our collection of Spiderman toys and games get your little one’s Spidey-senses tingling. The Spiderman soundtrack will sound great on an Ultimate Spiderman CD player, complete with Spiderman stereo headphones making sure YOU have the peace that Spiderman fights so hard for! Spiderman scooters are ideal for replicating the rush of a high-speed superhero chase. But remember… with great wheels comes great responsibility. 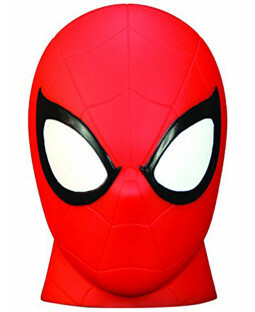 And with our 110% price beat promise you won’t find a better deal on all things Spiderman anywhere else on the web.